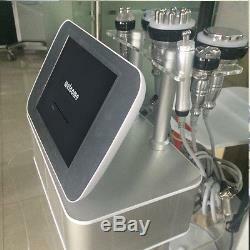 YH-6551 [mychway] - Cavitation 40K Vacuum RF Bipolar Multipolar Radio Frequency Bio Body Slimming CE. 6 in 1 Unoisetion Cavitation Ultrasonic Vacuum RF Radio Frequency Skin Tightening Facial Lifting Cellulite Removal Machine. 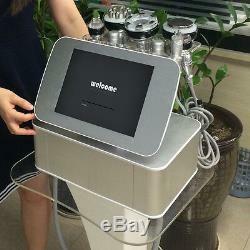 Cavitation 40K Vacuum RF Bipolar Multipolar Radio Frequency Bio Body Slimming CE. 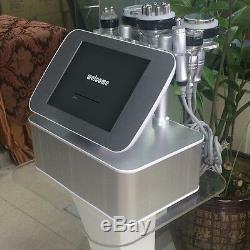 Cavitation 40K Vacuum RF Bipolar Multipolar Radio Frequency Bio Body Slimming Facial Care Equipment. Vacuum RF Body Shapping Cellulite Removal. Eight Polar 3D SMART RF Radio Frequency Body Massage. Quadrupolar RF Smart Radio Frequency Skin Rejuvenation. Bipolar RF Smart Radio Frequency Skin Firming. Bio Microcurrent Skin Lifting Anti-ageing. Unoisetion Caviation 2.0 40K: Unoisetion Cavitation 2.0 is offering a new operation which we believe can potentially replace traditional cavitation. Unoisetion customers can get results they are satisfied with, without having to undertake buzzing and noise in ears Benefits can include: A. 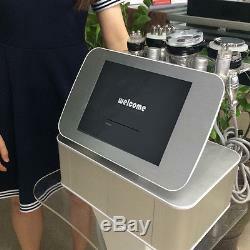 SAFETY Unoisetion New Cavitation Technology--Annoying noise in ears caused by cavitation will be reduced 3 times, the clinical data indicated, more comfortable weight loss experience for you B. INTELLIGENCE Intelligence frequency adjustment technology can adjust the frequency according to the temperature of the derma during fat dissolve, people will not feel very hot during operation , it is comfortable warm C. BETTER VISIBLE EFFECT On the other hand, the output power will be enhanced and its effective result can be seen fast E. DIGITIZATION CALIBRATION unoisetion utilizes the intelligent calibration technology what means it can adjust the frequency during whole operation and calibratethe error of frequency by itself to make the output frequency keep the same frequency as before, in this way, the unoisetion cavitationwill make the result of body shape more effective(3 times as long as normal cavitation) and the handles lifetime will be 10 times more than normal cavitation. 3D Smart Radio Frequency The use of bipolar SMART RF(radio frequency) with an associated vacuum device allows for precise deep dermal heating of the collagen followed by collagen remodeling. It has been successfully used in clinical trials for the operation of rhytides and skin laxity. The heat generated by passing RF energy through the skin shrinks dermal collagen and promotes the formation of new collagen. The vacuum suction element confines the heating effect between two RF operation electrodes for greater specificity. The operation head is connected to a vacuum pump that draws the skin between two parallel sets of electrodes located in the tip. High frequency electrical (SMART RF) current is passed through the skin. A flat surface delivers current more efficiently, so suction induced skin deformation provides an effective contact. As such, the SMART RF operation depends somewhat on the thickness and coarseness of the skin in the target area. This mechanism induces mechanical stress on fibrillates, leading to collagenesis and possibly a more dramatic improvement of the acne scar. Bio is a non-surgical, non-invasive cosmetic technique that safely and effectively improves the health and appearance of the skin. A bio face lift is also called a Bio-ultimate face lift. A bio face lift uses technologies developed in the medical and physiotherapy fields to activate the skin's natural chemicals responsible for health and vitality. A bio face lift provides satisfying aesthetic results with less risk of side effects compared to a traditional face lift. The bio face lift procedure is proven safe and effective, delivering results at a fraction of the cost of traditional procedures. Power supply Input:100V-240V Power :<=190W Uoisetion 40K cavitation Head: Frequency:40KHz Power:15W Sextupolar Vacuum 3D SMART RF for body Power supply output:66V Freqeuncy:3MHz Power:30W 8 Pole 3D Smart RF w/Photon for body Freqeuncy:1MHz Power:30W Quadrupole 3D Smart RF w/Photon for face Freqeuncy:1MHz Power:30W 3D Smart Bipolar RF w/Photon for eye area Freqeuncy:1MHz Power:10W. 1 x Host 1 x Unoisetion Cavitation 2.0 Probe 1 x Bipolar 3D SMART RF probe with photon for eye area 1 x Quadrupole 3D SMART RF probe with photon for face 1 x 8 Pole 3D SMART RF probe with photon for body 1 x Bio face lift probe 1 x Power Supply Cord Both 110v and 220v voltage (frequency: 50/60Hz) version are available. Also we stock the USA, UK, AU, EU plug to suit for the country all over the world. The item "6in1 Ultrasonic Cavitation Radio Frequency Vacuum Cellulite Slimming Spa Machine" is in sale since Saturday, July 29, 2017. This item is in the category "Business & Industrial\Healthcare, Lab & Dental\Other Healthcare, Lab & Dental". 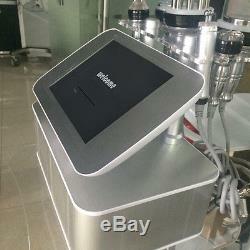 The seller is "mychway_uk" and is located in ShenZhen,Guangdong. This item can be shipped worldwide.